It’s really hard to turn away when you find an injured person or animal. Simone Serfontein from South Africa definitely knows this feeling. 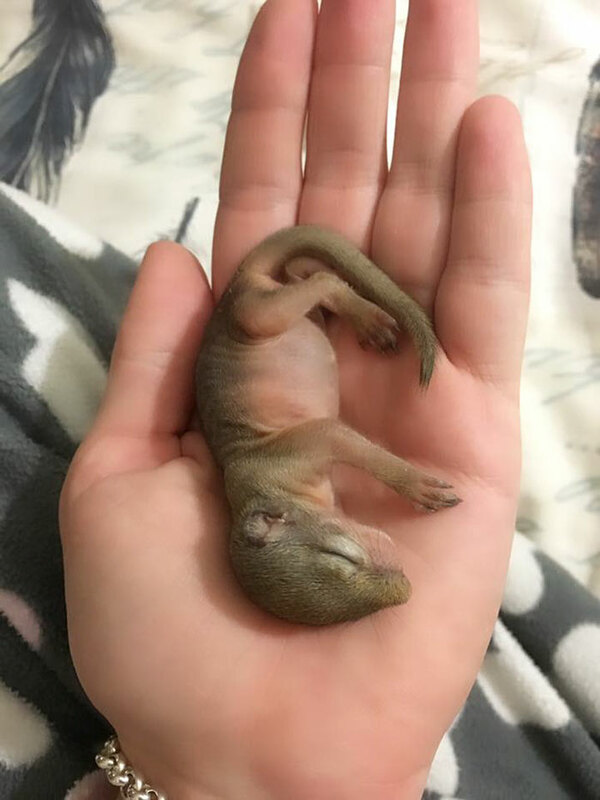 In October of 2016, she found a baby squirrel who fell out of a tree and her mother was nowhere to be found. “When we found her, she was still a ‘pinky’ and a funny looking creature with no hair. She was around 5 – 6 days old when we picked her up. Ice cold and screaming for her mom who unfortunately never came back for her.” she told Bored Panda. 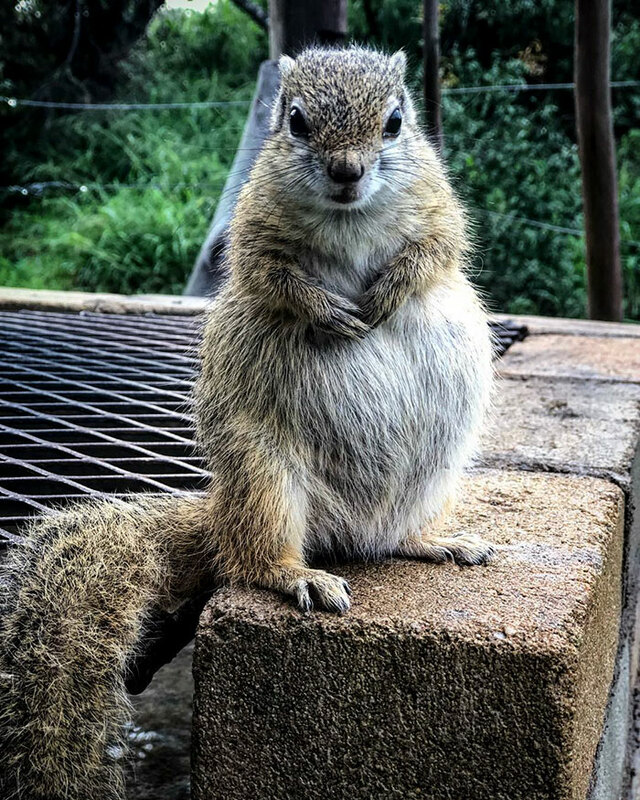 But no matter how cute these little animals are, “raising a Squirrel is definitely not an easy task,” Simone admits. 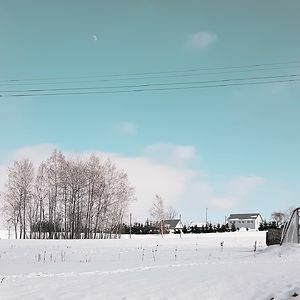 “For the first few weeks I fed her every hour, even at night I normally set my alarm to feed her and help her with the ‘bathroom situation’,” she explained. For three whole months, Simone brought her new little friend to work and let Dingetjie sleep close to her body. But Simone knew that she eventually would have to release her to the wild. And when that time came, Dingetjie decided that she didn’t want to say goodbye to her rescuer. After spending some time outside for the first time, she came back to the house she was raised in. Simone says, that allowing her to stay outside has become a daily routine. “Dingetjie almost always came back in the evening. There were only 3 nights when she slept outside but returned in the morning”. 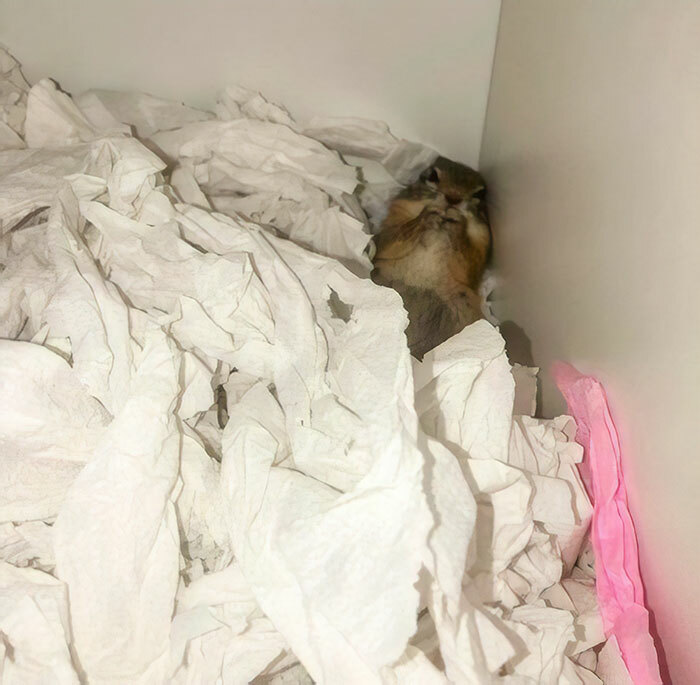 Instead of a tree, the squirrel picked out a drawer in the house and made a nest in it out of toilet paper. In April she gave birth to Tinkie in the nest she made in Simone’s closet. Sadly Dingetjie’s baby passed away a few months later. Last year, in September, she gave birth to another baby – Mistie. 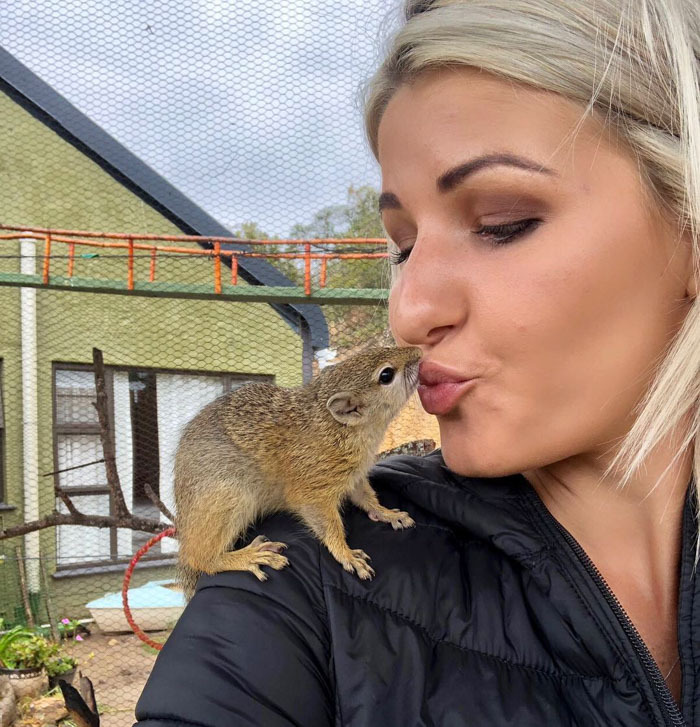 And once again Simone had a chance to raise a baby squirrel because Dingetjie was not producing any milk. Today Simone share a beautiful bond with both Dingetjie and her baby. Let’s just hope that this beautiful friendship will last a long time! 'Dingetjie' means 'Little thing' in Afrikaans. It actually means dumb immigrant. I had a pet squirrel as a kid. It got kicked out of it's nest because it had seizures. The squirrel ate and pooped in the correct places right away. It greated me like a dog. Slept with me at night. Was never locked up. Was allowed to go outside and always came back in. I was amazed at how easily it became my pet. One day a seizure took it's life. 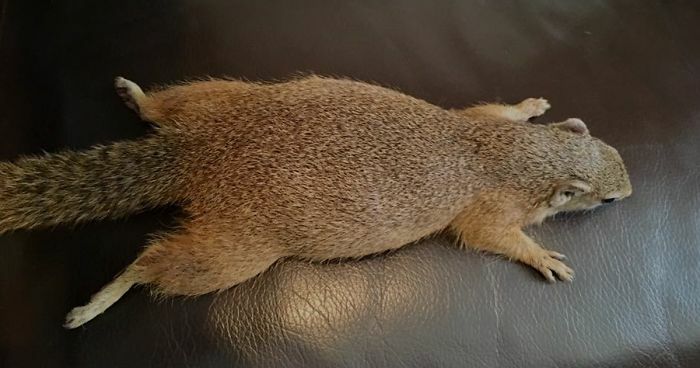 I'm sorry to hear that but very glad there was love and joy in the squirrel's shortened life. We rescued a kitten like that. Her mother was feral and she took the rest of the litter out, but left one behind. I was cleaning out my storage shed and the dogs kept barking. She was a feisty one and it was hard to get her out. We called her Little Debbie. I do miss her.